Lexy is always ready to welcome you to the office! She stays extremely busy in her role as a receptionist and scheduling coordinator. 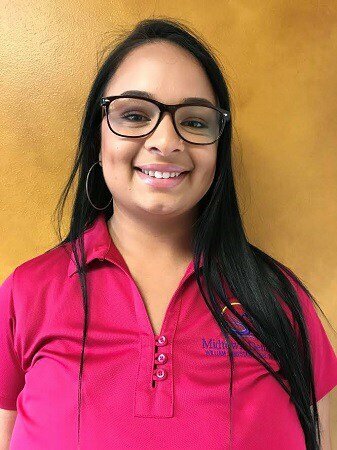 Lexy helps out a lot by checking in/out patients, helping them prepare for an upcoming appointment, answering the phones, making sure the office runs smoothly, and ensuring everyone has what they need to get the job done. Lexy will probably tell you that she loves what she does for so many reasons including helping and meeting new people, working alongside a great team who’s committed to a genuine doctor/patient interaction, and just feeling like she’s part of a big extended dental family. She is dependable, organized, loyal, and easy going. Outside of the office, Lexy says she loves to read, eat delicious foods, and then reluctantly hit the gym.